The outlines of the probable counterterrorism strategy under U.S. President Donald Trump have emerged. 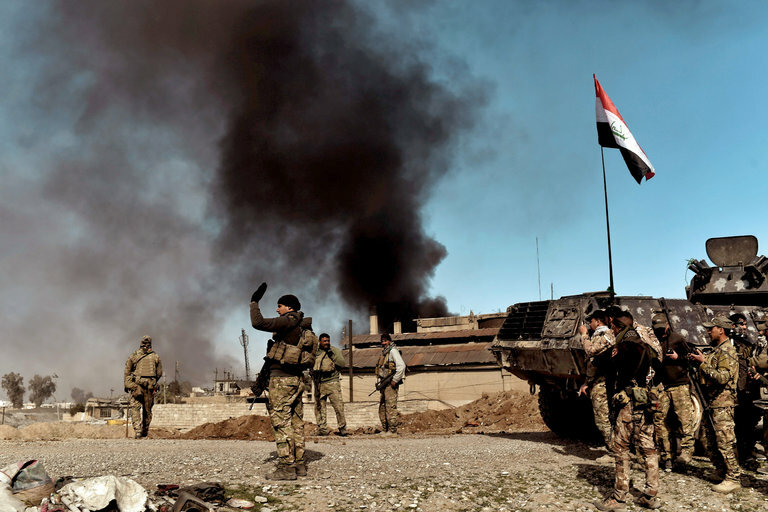 And judging from what is known, though a more intense campaign against the Islamic State and other terrorist groups could lie ahead, the core of Washington's strategy — relying on local forces to do the brunt of the fighting — will likely remain unchanged. On Monday, U.S. Defense Secretary James Mattis briefed White House strategists on his 30-day strategic review of the fight against terrorism. Based on Pentagon statements and leaked information, the options he outlined represent more an intensification of current efforts rather than a seismic shift in strategy. The United States may look to increase its military presence in a number of areas, particularly in Syria, Yemen and Somalia, but the commitment of U.S. forces to any of those theaters is expected to remain limited. The options presented in the review, the Department of Defense has emphasized, are more a framework for broader discussion rather than a ready-to-execute military plan. And since the details of the review are classified as secret, there is much that the public does not know about what Mattis laid out. The competition over the disputed waters of the South China Sea has heated up over the past few months. China accelerated its defense buildup in the area, installing weapons on its artificial islands in the Spratly archipelago and enhancing its presence on the Paracels. Vietnam followed suit and upgraded its defense in the Spratlys, while the Philippines considered taking steps to shore up its own claims in the island group, including Thitu Island. Adding to the tension, China seized a U.S. Navy drone and intercepted a U.S. P-3C Orion surveillance aircraft flying over the disputed areas. Yet even as the competition mounted in the South China Sea, diplomatic relations between China and the claimants in Southeast Asia entered a period of relative calm. Now, China and members of the Association of Southeast Asian Nations (ASEAN) are laying aside their differences and heading to the negotiating table. Representatives from the countries met in Bali during the week of Feb. 27 and plan to hold another conference in the Philippines in June. The goal is to formalize a legally binding code of conduct to govern maritime disputes in the South China Sea, the world's busiest and most hotly contested waters, by the end of the year. But despite the temporary lull in maritime tensions between the countries and the cautious optimism of some ASEAN members — including the Philippines, the bloc's current chair — the meeting raised more questions than it has answered. For the first time, the Indian Navy launched an anti-ship missile from a new indigenously built submarine. The Indian Navy successfully test fired an anti-ship missile from a Scorpene-class (Kalvari-class) diesel-electric attack submarine in the Arabian Sea on March 2, according to an Indian Ministry of Defense (MoD) press release. French shipbuilder Direction des Constructions Navales Services (DCNS) was awarded a $4.16 billion contract (known as Project 75-I) in 2005 for the construction of six diesel electric attack submarines for the Indian Navy in cooperation with state-run Mazgaon Docks Limited (MDL). The Project 75-I deal also included the option of building six additional Scorpene-class subs at MDL in Mumbai. The lead boat of the new class of attack submarines, the INS Kalvari, is expected to be commissioned this summer. The second Kalvari-class sub, the INS Khanderi, was launched in January of this year and is expected to be delivered to the Indian Navy by the end of 2017. The other four boats are all slated for delivery by 2020 at an interval of nine months. The India-China bilateral relationship has a distinctive strategic dimension to it and experts are agreed that the vision of an Asian century unfolding in the 21st century will be determined by the degree to which this bilateral relationship is able to realize its full potential. Over the last three years, both Asian giants have had new leaders at the helm – President Xi Jinping in China and Prime Minister Narendra Modi in India - and the initial expectation for a more cooperative relationship has floundered. The last year has been particularly testy. China’s reluctance to support India’s membership to the NuclearSUPPLIERS Group (NSG) and Beijing’s tactic of using a "technical hold" at the UN Security Council on the Pakistan-based terrorist leader Masood Azhar have irked New Delhi visibly. Consequently, over the last year the bilateral relationship has been more brittle than it has over the last decade. Thus, the visit of Indian Foreign Secretary S Jaishankar to Beijing (February 22) for the first ‘upgraded’ strategic dialogue had aroused considerable interest and both sides dwelt on the importance of regular high-level consultations. On February 16 a suicide bomber blew himself up in the main hall of the shrine of Pakistan’s most popular sufi saint, Lal Shahbaz Qalandar, killing at least 88 people, including 21 children. The shrine is located in Sehwan in Pakistan’s Sindh province, which has a strong tradition of sufism going back several centuries.It was obvious that the bombing was the work of one or more salafi (puritanical) groups that have been regularly targeting sufi shrines in Pakistan for the past couple of years. For what it’s worth, ISIS—itself a product of salafi ideology—has claimed responsibility for the deadly attack. It’s more likely, however, that it was the handiwork of one of the many salafi terrorist groups active in Pakistan, like Jamaat-ul-Ahrar, which also claimed responsibility. The second and equally important tension exposed by the attack in Sehwan is the inability of the Pakistan Army and government to keep in check ultra-fundamentalist terrorist groups operating in the country. The Pakistan army, especially its intelligence arm, initially sponsored these groups as surrogates in its struggle both to wrest Kashmir from India and to protect Pakistan’s strategic interests in neighboring Afghanistan torn by civil strife. However, several of them now operate largely outside the control of the armed forces and have become major agents for chaos and anarchy in the country as demonstrated by the Sehwan massacre. After the fiction-peddling Pakistan-apologist Sarmila Bose, we have a new myth-maker in our midst. Junaid Ahmad sets out on a mission to explode ‘myths’ behind the creation of Bangladesh. Ironically, he ends up being only a maker of myths. And that is not all. His fiction, a result of a fervid imagination at work, begins to implode right at the beginning. The implosion runs its full course, all the way to the end of a work which is clearly trapped in a time warp dating back to the 1960s and early 1970s. The jacket of the book, ‘Creation of Bangladesh: Myths Exploded’, highlights the writer’s ‘accomplishments’ as an academician, researcher and management consultant in Pakistan. As you go through this fiction of what he would like to see presented as history, you realise that there is nothing of an academic nature about the work and certainly the research is but another term for propaganda. As for the management bit, this writer with a background in consultancy should never have ventured into the expansive field of history, a subject certainly not his forte. But wait. He is also said to have been a student at Concordia University and then McGill University in Canada in the mid-1970s. The education appears to have been flawed, a waste, for such prestigious universities hardly ever produce scholars of the kind which Ahmad has made himself out to be. Dhaka, Bangladesh. Photo by Hafrul, Wikipedia Commons. Since the beginning of this decade the ‘Bangladesh Development Model’ (BDM) has been drawing attention for achieving remarkable success in reducing poverty and accelerating economic growth, pulling the country from a lower-income to a lower-middle-income country. Also the recent visits of the Chinese President Xi Jingping and the World Bank Group President Jim Yong Kim provide more acceptability and legitimacy to the developmental initiatives, macroeconomic successes, and multilateral stances of the current government of Bangladesh. The state’s policies and strategies to accelerate developmental sustainability followed by three consecutive plans i.e. ‘Vision 2021’ — establishing Bangladesh as a middle income country –, ‘Vision 2030’ — achieving zero poverty rate –, ‘Vision 2041’ — constructing a sustainable economic order as a developed economy — are shaping the faces of BDM. The eradication of poverty initiating gradual transformation towards socio-economic sustainability is occurring due to women empowerment, gender equality in education, investment in human capital, microcredit, reducing maternal and child mortality rate, modern sanitation, increasing life expectancy, expanding RMG and private sector, demographic dividend in terms of human resources, and increasing agricultural production etc. However, the vision of sustainability based on growth and equity depends on how Bangladesh is going to manage its developmental challenges-retaining economic growth, inequality, mal-governance and corruption, geo-economic balances and strategies, qualitative development in health and education, environmental and infrastructural sustainability, diversification of economy, energy security and communication- in the near future. The recent realignment of the North Eastern militant groups and their increasing terror activities in the India-Myanmar border areas are posing a threat to the region’s peace, security and stability. Unlike India-Pakistan and India-Bangladesh borders, there is neither proper border road nor fencing along the India-Myanmar frontier. The porous international border has become a serious internal security concern for the state and union governments. In an untoward incident on January 31, 2017, at least one army jawan was injured when suspected National Socialist Council of Nagalim (Khaplang) or NSCN (K) militants ambushed an army convoy in Longding district of Arunachal Pradesh. The site of the attack is only 7 km from the inter-state border in Assam’s Charaideo district. Reports say one NSCN (K) militant was killed in the retaliatory firing. In another major incident on January 22, about 15-20 militants ambushed an Assam Rifles (AR) vehicle, killing two AR troopers and injuring three others, while two of the rebels were also killed in the ensuing encounter at Jagun 12th Mile Barabasti on NH-153 in Tinsukia district of Assam. The militants launched the attack when hundreds of tourists were passing through the area to attend the three-day (January 20-22) Pangsau Pass Festival, which is held every year at Nampong in Changlang district of Arunachal Pradesh. The prime attraction of the festival is the famous Stillwell Road that was built during World War II. On January 28, President Trump directed his administration to develop a “comprehensive plan to defeat ISIS,” including a preliminary draft within 30 days. Defense Secretary Jim Mattis reportedly briefed top officials this week on the preliminary plan. When the Trump administration completes its plan, Congress will have another opportunity to finally fulfill its Constitutional responsibility to grant or withhold authority to conduct combat operations against ISIS. As a new member of the Senate Foreign Relations Committee, I believe it is long past time for Congress to consider and pass an authorization for use of military force (AUMF) against ISIS and send a clear message to our troops in harm’s way that we support them and have their backs. As they have done throughout our nation’s history, members of our armed forces are once again bravely serving and fighting overseas to keep us safe, and it is important for them and their families to know that Americans and their representatives in Congress stand with them. In addition to providing our troops the necessary resources for victory, the best way for Congress to express that support is to consider and pass a well-formulated AUMF. Article 1, Section 8 of the Constitution clearly states that Congress has the power “to declare war.” Yet, two-and-a-half years after the U.S. began bombing ISIS—and with thousands of Americans already on the ground in Iraq and Syria—Congress has failed to exercise this fundamental Constitutional responsibility. The American people have a right to expect better from Congress. Undoubtedly, many in Congress, including members of both parties on the Senate Foreign Relations Committee, have introduced legislation and made good faith efforts to pass an AUMF focused on ISIS. Still, the simple fact remains that Congress as an institution has failed to fulfill its Constitutional responsibility. We will soon have an opportunity to debate the President’s plan and to extend or withhold our authorization for its implementation. Russian aircraft maker Tupolev has purportedly built the first full-sized model of its next-generation strategic stealth bomber, dubbed PAK DA (an acronym for “Prospective Aviation Complex for Long-Range Aviation”), according to Russian media reports in early March. “Several scale mock-ups of the PAK DA bomber have been made of composite materials. Also, there is a full-size mock-up made of wood. All models are based on the flying wing concept,” a defense industry source told TASS news agency on March 1. Furthermore, it was reported that the new fifth generation PAK DA bomber will be able to carry a 30-ton weapons payload including different variants of air-to-surface and air-to-air missiles as well as conventional and smart-guided bombs. Among other things, it will be capable of carrying the KH-32 cruise missile, Russia’s latest anti-ship missile currently under development and specifically designed to attack U.S. carrier strike groups. But while the thermobaric ordinance are legal in combat, many non-governmental watchdogs have condemned the use of them because such weapons tend to be indiscriminate. But war is not a clean business even under the best of circumstances. There are instances where the U.S. military has no choice but to use thermobaric weapons—otherwise the troops would be placed in unnecessary danger or terrorists might able to entrench themselves in caves or buildings like in Afghanistan. As such, both the thermobaric Hellfire and the SMAW-NE are weapons that were specifically developed for the Afghan war. “Marines could employ blast weapons prior to entering houses that had become pillboxes, not homes. The economic cost of house replacement is not comparable to American lives . . . all battalions adopted blast techniques appropriate to entering a bunker, assuming you did not know if the bunker was manned,” as an essay in the Marine Corps Gazette described. Russia has been using the devastating TOS-1 weapon against its foes in Syria, but the United States has also used its own thermobaric weapons against terrorists in Afghanistan and Iraq. Since 2001, the United States has most recently used the BLU-118/B aircraft dropped thermobaric bomb, XM1060 40mm thermobaric grenade, Shoulder-Launched Multi Purpose Assault Weapon—Novel Explosive (SMAW-NE) and the AGM-114N Metal Augmented Charge (MAC) thermobaric Hellfire during the wars in Iraq and Afghanistan. In Afghanistan, particularly, the weapons proved to be ideal in rooting out Taliban and Al Qaeda fighters hiding in caves and tunnels. But the weapons have been singled out for criticism—even if they are perfectly legal—because of their effects. During the presidential campaign Donald Trump provided a succinct assessment of his approach to U.S. alliances: “You always have to be prepared to walk.” Asian allies, long accustomed to strong bipartisan support, were stunned. While President Trump’s successful summit with Japanese Prime Minister Shinzo Abe helped ease regional anxieties to an extent, Asian allies and partners nonetheless remain concerned about the degree of uncertainty surrounding Trump’s foreign policy. Between argumentative phone calls and a flurry of executive orders, Trump has made clear that he’s willing to throw out the rule book in pursuit of an “America First” approach. U.S. partners, in turn, are openly questioning whether Asia still has a place in Washigton’s vision of this brave new world, or whether the new administration may simply toss out the pivot to Asia much like it did the Trans-Pacific Partnership. If there has been a bright spot for Asia, it was Secretary of Defense James Mattis’ trip to Japan and Korea. On the trip, his first abroad as secretary, Mattis sent strong signals that the security elements of U.S.-Asia policy remain on track. But while Mattis’ first foray to the region was promising, reassuring worried Asian allies will require a far more sustained, long-term effort. One of the clearest and most tangible steps the new administration could take on this front would be to commit to a high-level effort to sustain and enhance America’s Pacific force posture. 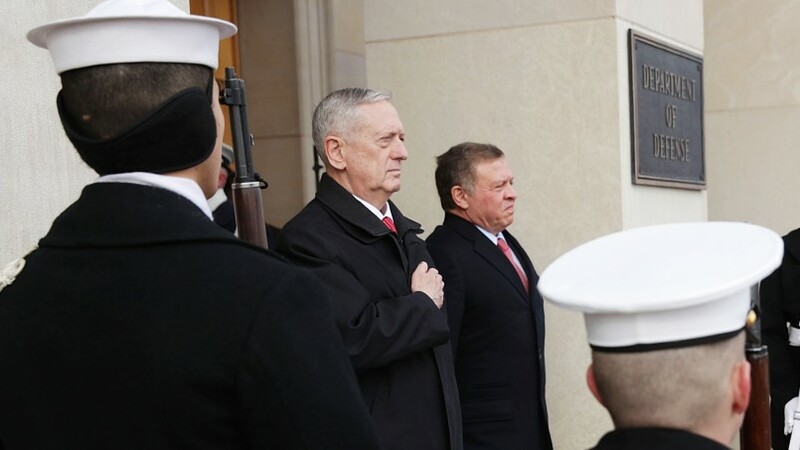 In his first speech to NATO defense ministers as the U.S. Secretary of Defense, Jim Mattis suggested that, if Allies do not start contributing more by the end of the year, the United States might “moderate its commitment.” While the timing is less than ideal, given growing concerns about the Trump administration posture towards Russia, this message is a long time coming. He bluntly declared, “Americans cannot care more for your children’s future security than you do” and stated that it is a "fair demand that all who benefit from the best defense in the world carry their proportionate share of the necessary cost to defend freedom." While American officials expressing their exasperation with free-riding has been a feature of NATO politics going back to the 1970s, it has certainly escalated in recent years. President Trump’s first address to Congress checked nearly all the domestic policy boxes that dominated his public statements during the campaign and his few short weeks in the White House — jobs, immigration, taxes, medical care. But there was one gaping omission: foreign policy. Here was his moment to assert understanding of the foreign policy threats and opportunities facing the country, and his vision of his role as commander in chief with a wider understanding of America’s role in the world. He failed to grasp it. He boasted about plans to throw billions more dollars at the Pentagon, without a word about how this will advance national security. He spoke at length about his plans to bar and expel immigrants he regards as dangerous, but far less about the very real threats from the Islamic State and other extremist groups. There was no coherent idea about major continuing challenges in Afghanistan and Syria. In fact, the words Afghanistan and Syria — as well as North Korea (with its growing nuclear arsenal) — never crossed his lips. China and Iran got passing mention; climate change — a major global challenge — zero. Thus ensued several agonizing minutes as Carryn Owens struggled gamely to keep her composure while the audience gave her a standing ovation to which Mr. Trump added a grotesque coda, announcing that Chief Owens would be “very happy because I think he just broke a record” by drawing sustained applause. U.S. President Donald Trump and his Administration have been quick to use forceful rhetoric when discussing U.S. policy towards Iran during their first five weeks in office. However, whether a strong-armed approach to Iran is in fact the most effective direction for U.S.-Iranian relations is an open question. In late January, Tehran test-launched a medium-range ballistic missile, a move the Trump Administration deemed in violation of UN Resolution 2231, which “calls upon Iran not to undertake any activity related to ballistic missiles designed to be capable of delivering nuclear weapons, including launches using such ballistic missile technology.” Soon after the test, former National Security Advisor Michael Flynn put Iran “on notice” declaring, “The Trump Administration will no longer tolerate Iran’s provocations that threaten our interests,” and the U.S. Treasury Department enacted new sanctions on Iran, sanctioning 13 individuals and 12 entities connected to Iran's ballistic missile program and Iran’s Islamic Revolutionary Guard Corps. America Needs Its Underwater Nukes. Delaying New Subs Would Be a Disaster. The Trump administration directed the secretary of defense to conduct a thirty-day Readiness Review of the military in a January 27 presidential memorandum on rebuilding the U.S. armed forces. One of the items this review will find is the vital need to build the replacement to the Ohio-class ballistic-missile submarine (SSBN). The Ohio-class SSBN is the only platform in the sea-based leg of the nuclear triad and has been conducting strategic deterrent patrols since 1980. Under the New Strategic Arms Reduction Treaty (New START) this leg of the triad will have 70 percent of the nation’s deployed nuclear warheads. Therefore, this review and the defense budgets it informs must make replacing this SSBN a national priority. The Navy maintains fourteen nuclear-powered Ohio-class SSBNs built to carry a submarine-launched ballistic missile (SLBM) and operates them out of bases at Kings Bay, Georgia and Bangor, Washington. These ships and their missiles make up the sea-based leg of the nation’s nuclear triad. The sea-based leg of the triad along with the Air Force’s land-based strategic bombers and land-based intercontinental ballistic missiles (ICBM) deters the nation’s adversaries from starting a nuclear war. The Ohio class has conducted strategic-deterrent patrols since October 1980 and will continue to do so until the late 2030s when the final Ohio-class is decommissioned. Getting almost sixty years of service out of a nuclear-powered warship class made the Ohio class an excellent investment when Congress and the military conceived it in the 1970s, and now is the time to make a similarly wise investment. The Navy determined twelve Columbia-class SSBNs can replace the fourteen Ohio-class SSBNs. The Congressional Budget Office projected the cost of this program in 2016 dollars to be $100–104 billion, with the first ship in the class costing $13.3 billion and the subsequent ships costing $6.7 billion each. The cost of the first ship in a class is more expensive because it includes the nonrecurring research and development costs. The Navy plans to leverage technology used in Virginia-class fast-attack submarines (SSN) to maintain the cost of each ship near or below the $6.7 billion figure. The Islamic Revolutionary Guard Corps will continue to arrest Iranians with Western citizenship or residency as a way to secure its interests and boost its legitimacy. The frequency of arrests may increase as Iran’s emergence from international isolation attracts Iranians living abroad to return. Such incidents will run counter to President Hassan Rouhani’s drive to rejoin the global economy. Iran’s high-profile release of five imprisoned U.S. citizens in January 2016 marked a moment of detente between the United States and Iran, timed to coincide with Washington’s suspension of wide-ranging economic sanctions. Over the past year, however, Iran has continued to arrest people with Western citizenship or residence, more than making up for those it released in January. Whereas Tehran ended 2015 with 11 acknowledged Western prisoners, that number was up to 16 by the end of 2016 — and that’s only the prisoners whom the public knows about. Iran has long had a reputation for imprisoning political dissenters. Hundreds of journalists, activists and academics are in jail in Iran for various political offenses, raising concerns about Iran’s domestic legal system and the propriety of political dissent. A smaller group of prisoners who hold either foreign passports or have foreign residency sheds light on how Iran’s security apparatus is maintaining relevance amid Iranian President Hassan Rouhani’s drive for reform. It doesn’t necessarily take the resources of a major nation-state to challenge U.S. Navy warships. China for instance is building up a large navy and invests in long-range, ship-killing missiles. Iran can’t build a large navy but it does invest in swarms of small missile boats. Like a swarm of insects, a swarm of boats can pose a threat as a larger, far more expensive warship might not be able to swat them all — and a single missile with enough punch can be devastating. 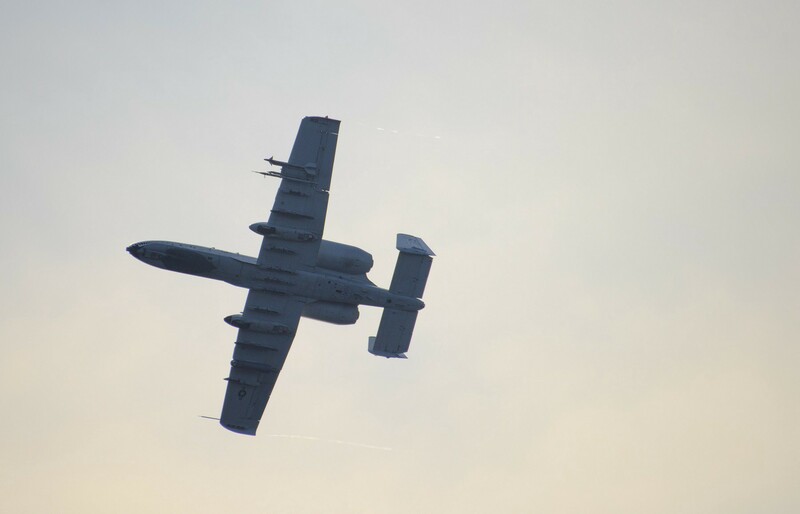 So the U.S. military is practicing with ways to defeat such a potential threat with tank-killing A-10 Warthogs. On Feb. 6, the low- and slow-flying Warthogs together with Canadian CF-18 Hornets carried out simulated attacks on dozens of boats in Florida’s Choctawatchee Bay. The planes didn’t drop any ordnance, however, as the boats were being piloted by local captains hired by the Air Force. These were simply mock attack runs. An Air Force news release also noted that the civilian sailors practiced “realistic swarm attack formationmaneuvers” with mocked-up machine guns fitted to their boats. As the defense editor at The Diplomat I very often cover defense deals (“Country X to Receive X Amount of Fighter Aircraft”), missile tests (“Country Y Successfully Test Fires New Z Missile”), and the commissioning of new military hardware (“Country Z Commissions New Carrier Killer”). Most of these articles describe the number of items to be delivered, their unit or wholesale price, estimated delivery date, and the politics behind the deals. In these pieces, I also sometimes refer to the strategic environment a country finds itself in and why it therefore needs a particular kind of weapon system due to its unique conditions. In this context, stock pundit expressions and concepts such as credibility, deterrence, and anti-access/area-denial all help qualify (perhaps even rationalize) the specific acquisition and reflect the country’s overall national security strategy. Furthermore, I also describe the capabilities of weapon systems including range, payload, and ability to hit and destroy a target accurately. This is, however, where my job gets tricky: While I may spend some time discussing the circular error probability of a missile (a measure of a weapon system’s precision), I never go beyond euphemisms such as impact, kinetic effect, or damage to describe what the physical results are of an artillery round or missile on an actual human being in, for example, a main battle tank (MBT). I do not describe that should a T-90SM MBT’s reactive armor fail to stop an anti-tank missile fired from a Baktar-Shikan wire-guided anti-tank missile system and penetrate the crew compartment, the best thing the soldiers can hope for is a direct hit in the tank’s ammunition storage blowing up the entire vehicle, rather than being burned alive (not a rare occurrence in tank warfare). I do not elaborate when discussing a new drone model that shrapnel and the explosive power of a hellfire missile fired from an unnamed aerial vehicle can mangle a victim (another phrase I rarely use). The thunderous booms from howitzers near Hamam al-Alil, a town along the Tigris River, are just part of the American military’s contribution to keeping the Iraqi offensive moving forward. Capt. Geoffrey Ross, who commands the unit of self-propelled artillery here, said his soldiers had been a lot busier than he had anticipated. “It’s considerably more than we thought we were going to shoot when we left Fort Hood,” he said on Saturday, as one of his howitzers hurled another round toward Mosul, 15 miles to the northwest. At Qayyarah Airfield West, a sprawling Iraq base 40 miles south of Mosul, a United States Army task force fires Himars satellite-guided rockets at targets. Apache attack helicopters, equipped with Hellfire missiles, stand ready to carry out their missions from the base’s airfield. The Next 9/11: What's the Next Impossible Terror Threat? Over the past three decades, the terrorism threat has evolved from the detonation of a bomb in the World Trade Center’s parking garage, to the use of jetliners as missiles against the epicenters of American power, to the transformation of a truck into a weapon of mass destruction against a crowd of civilians along France’s southern shore. While the U.S. counterterrorism budget has doubled since 9/11 to reach $16 billion, nearly half of this expenditure funds the Transportation Security Administration, despite the notable shift in the terrorism threat away from civil aviation and towards soft targets. With Al Qaeda and the Islamic State of Iraq and the Levant proving profoundly agile and adaptive in the face of formidable countermeasures, the U.S. counterterrorism strategy remains stuck on the defensive, responding to evolving terrorist strategies, rather than anticipating and disrupting them. In the 9/11 Commission Report, the “failure of imagination” was cited as an intrinsic weakness of the United States’ pre-9/11 counterterrorism strategy, along with significant gaps in inter- and intra-agency communications and capabilities. While the flurry of organizational reforms that spawned the Office of the Director of National Intelligence, the Department of Homeland Security and various mission centers addressed many of these vulnerabilities, the failure to imagine the unimaginable continues to undermine our nation’s counterterrorism prevention efforts. As President Trump embarks upon his ambitious inaugural promise to “eradicate radical Islamic terror from the face of the Earth,” he will need to prioritize imagination to forecast and materially combat burgeoning terrorist groups, along with their changing tactics and targets. However, before imagination can be wielded as an effective counterterrorism tool, a nuanced understanding of how the terrorism landscape has evolved is paramount. Understanding the Russian criminal underground is essential when discussing Russian proxies in cyberspace. How do cybercriminal entities interact with each other and what is their relationship with the Russian government? The Cipher Brief spoke with Ed Cabrera, the Chief Cybersecurity Officer at Trend Micro and the former Chief Information Security Officer for the U.S. Secret Service, about how the Russian cybercriminal underground functions and the blurry distinction between criminal and state-sponsored activity in cyberspace. 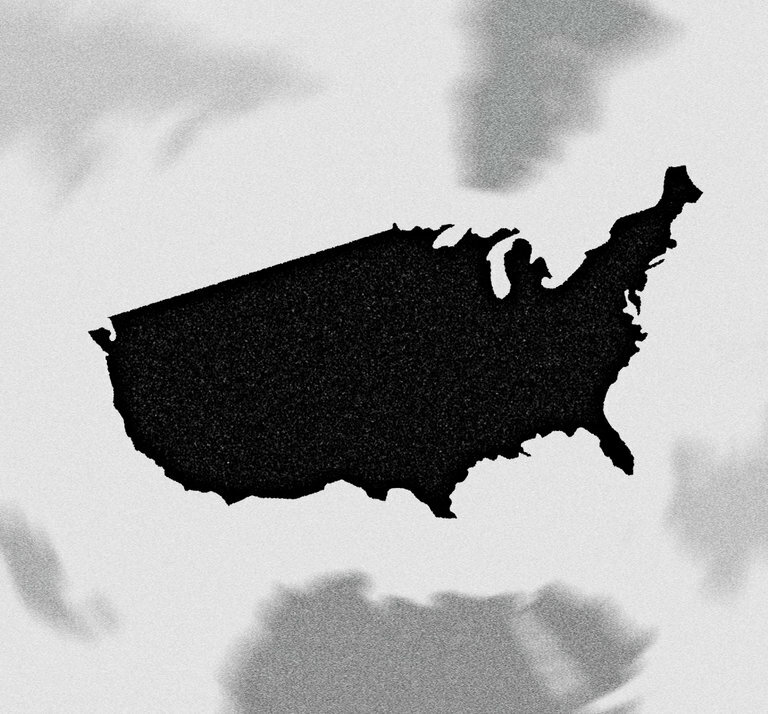 The Cipher Brief: How would you characterize the Russian criminal underground? Ed Cabrera: In the mid-1990’s, the perfect storm occurred in Russia with the fall of the Soviet Union. It fostered the creation of the criminal underground, as unemployed and under-employed IT professionals had different opportunities to make a living. Coupled with the globalization of the Internet, and the rise of e-commerce provided them great opportunities to conduct cyber attacks for financial gain. The carding market was the first criminal enterprise to be born from within this marketplace, and over the last 15 years it has substantially expanded its criminal services and offerings. It was the same type of tech startup feel, where individuals come together to communicate, collaborate and conduct attacks. This has been occurring for the last 15 years in the Russian underground, driving an evolution toward crime-as-a-service. Now everything is so automated that a budding criminal can use one of these ransomware-as-a-service entities and start conducting attacks and making money fairly easily. A soldier from the Army’s offensive cyber brigade during an exercise at Fort Lewis, Washington. SAN DIEGO: Adm. Mike Rogers, who heads both NSA and Cyber Command, is looking past CYBERCOM’s elevation to an independent Unified Command towards a much wider reorganization of military cyber. Some reorganization is implicit in a Feb. 17 memo in which Defense Secretary Jim Mattis charges Deputy Secretary Bob Work to “develop an initial plan… for more optimized organizational structure and processes to support information management and cyber operations.” But speaking to the AFCEA-USNI West 2017 conference here, Rogers proposed an array of specific changes, from giving tactical units more authority to conduct cyber attacks to creating a new structure to oversee both cyber and electronic warfare. Rogers was notably silent on one burning issue: splitting the two agencies he runs. Obama Defense Secretary Ash Carter and Director of National Intelligence James Clapper both pushed to separate NSA and CYBERCOM, but Rogers was publicly reluctant, as was Senate Armed Forces Chairman John McCain. The 2017 defense bill elevated CYBERCOM from a component of Strategic Command to an independent top-level Unified Command (Sec. 923), but it but forbade separating CYBERCOM from NSA until the Pentagon studied the split and certified it would not pose “unacceptable” risk (Sec. 1642). “We’re looking at the issue,” DoD spokesman Capt. Jeff Davis told The Hill. That study and other NDAA provisions are the impetus for Mattis’s memo.